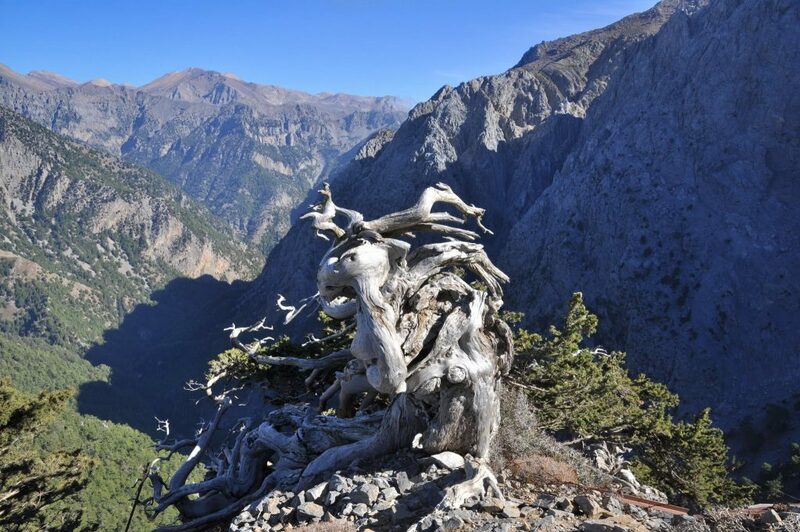 Gigilos (2080 meters) is the most accessible high peak of the White Mountains. The geography of the region is quiet impressive. We’ll need about 4 hours to reach the summit and another 3 or so until we return back. The return is down the same way, so the walk can be curtailed at any stage if you prefer. There are spectacular views from the summit, such as most of the high summits of White mountains and picturesque view to the open sea. This is a demanding hike as the terrain is rocky and quiet steep. 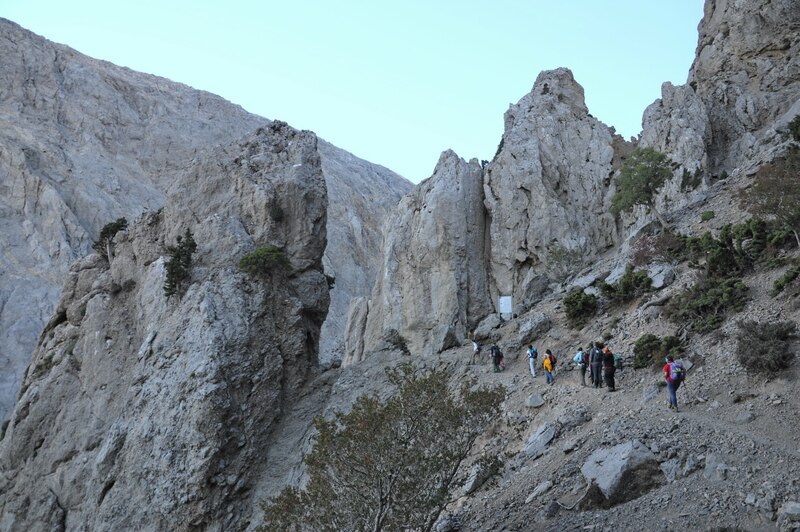 We will start the hike from about 1100 meters thus having to cover more or less 1000 meters (3000 ft). During the winter full mountaineering equipment is needed with previous experience walking in ice. 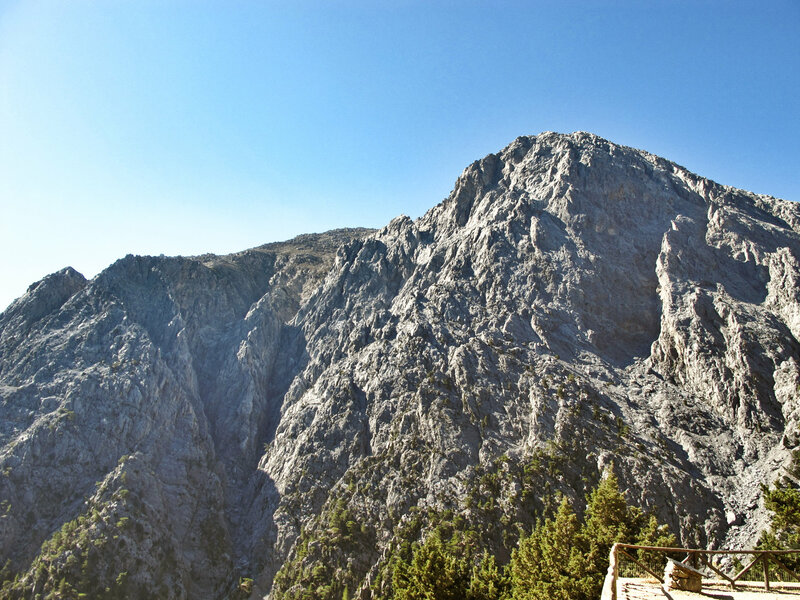 Temperature during the summer is not that warm as we start the walk from above 1000 meters and is wise to have with you a light jacket as well even if everyone is having a tan near the sea! 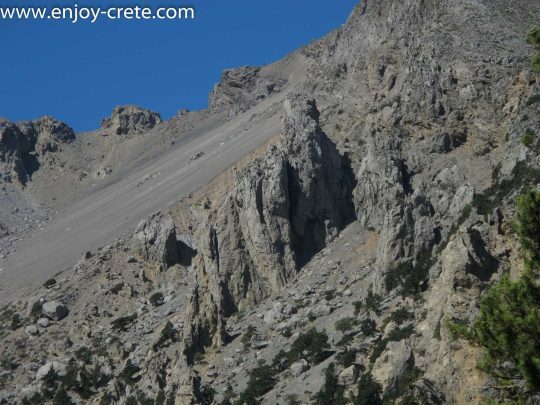 The White Mountains or Lefka Ori occupy a large part of the centre of West Crete and are the main feature of the region. They consist mainly of limestone, from light grey to bluish or black color and same of course applies to Gigilos. The "White Mountains" have got their name from the perpetual white or off white color of their peaks as the off white of limestone during the summer and fall interchanges with the snow that covers the peaks until late in spring. 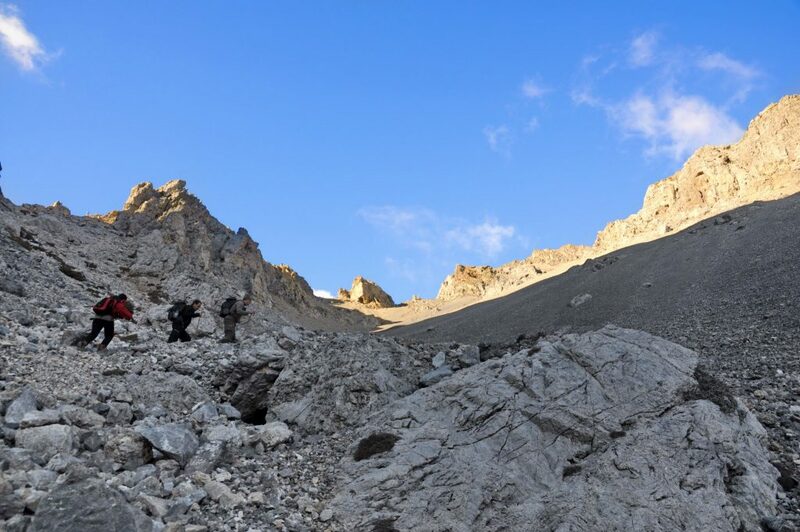 The highest summit is Pachnes with 2,453 m (8,048 ft) and there are over 30 summits that are over 2,000 m (6,562 ft) high. The Lefka Ori also have about 50 gorges, the most famous being the Samaria Gorge. 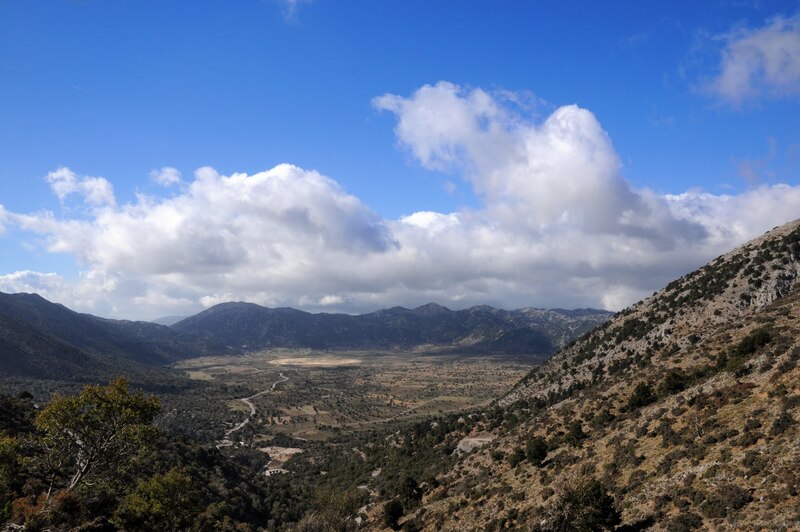 The ascent to Gigilos has an outstanding view to the gorge. You will need to pack your lunch. Other than that you will need at least 1.5lt of water (ideally 2-3 during the summer months),sun glasses, hat, sunscreen, light jacket and good hiking shoes. If coming during the winter you need to have a full winter mountaineering clothing as temperature can get below 0oC near the summit. If we pick you up we will send you the exact meeting point otherwise we will meet in Ksiloskalo at Omalos plateau. Check this link for the exact spot. We start around 10 am, we'll send you an email with the exact time as it change depending the season (daylight). During the summer months will try to start the earliest possible. A full refund will be given. As an alternative we might offer you a different hiking trip or a cycling trip with ebikes.